What is World Book Night? World Book Night is an annual celebration designed to spread a love of reading and books. To be held in the U.S. as well as the U.K. and Ireland on April 23, 2012. 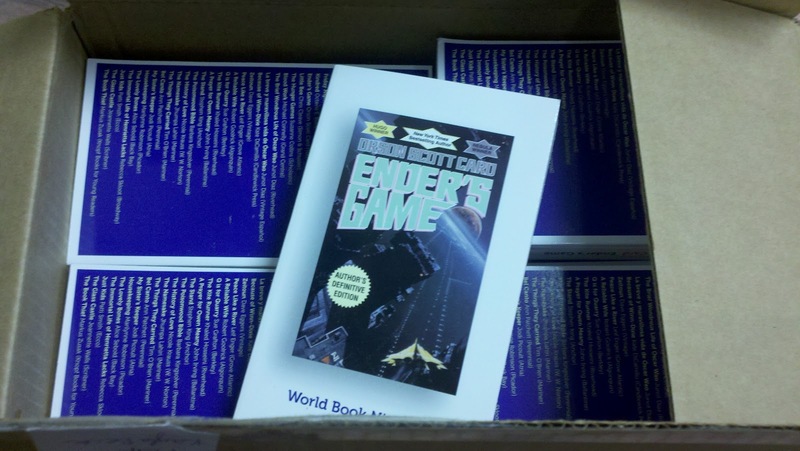 It will see tens of thousands of people go out into their communities to spread the joy and love of reading by giving out free World Book Night paperbacks. World Book Night, through social media and traditional publicity, will also promote the value of reading, of printed books, and of bookstores and libraries to everyone year-round. Successfully launched in the U.K. in 2011, World Book Night will also be celebrated in the U.S. in 2012, with news of more countries to come in future years. 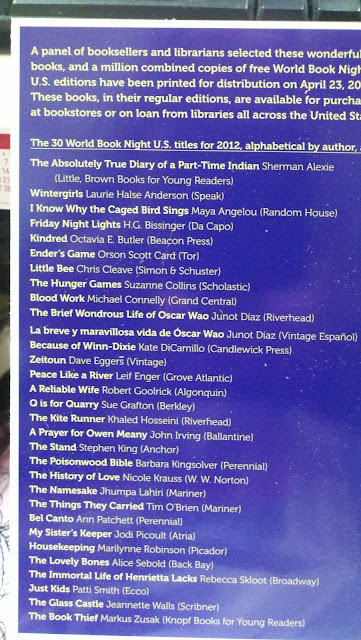 Please join our mailing list for regular World Book Night U.S. news. And thank you to our U.K. friends for such a wonderful idea! Additionally, April 23 is UNESCO’s World Book Day, chosen due to the anniversary of Cervantes’ death, as well as Shakespeare’s birth and death. 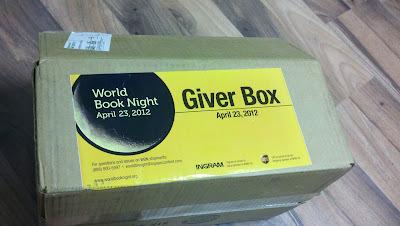 I was lucky enough to be chosen as a Book Giver for today's World Book Night, about which I am extremely excited. I will be tweeting my "book giving" today, so be sure to follow me to see how it goes. Oh, and here is what the back of the book looks like. Awesome, huh? Have Fun!!! I can't wait to do this next year.